REDUCED - Were £9.50, now £5! 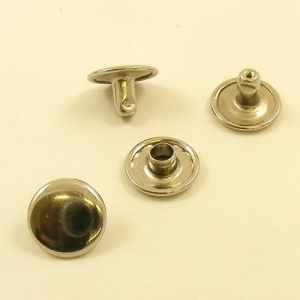 These nickel plated steel rivets have a 7mm stem length and an extra wide 13mm cap size. 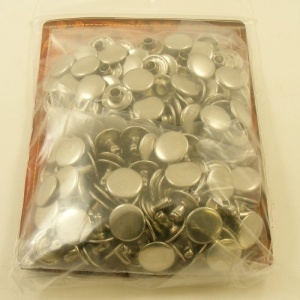 This is a pack of 100 rivets. They are double capped rivets, which means that they look good from both sides. To achieve a strong fix, you will need around 2mm of your rivet stem to stand proud of the layers you want to join, before adding the cap and hammering the two halves together. 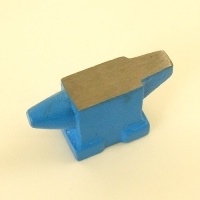 You can fit these rivets without a fixing tool by resting the stem on an anvil and hitting the cap with a hammer. 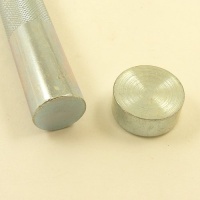 If you want to preserve the curved shape of the rivet cap, use the extra wide rivet fixing tool, shown in related items below.